Today I'm doing something a bit different. I've been busy trying to manage my life better. 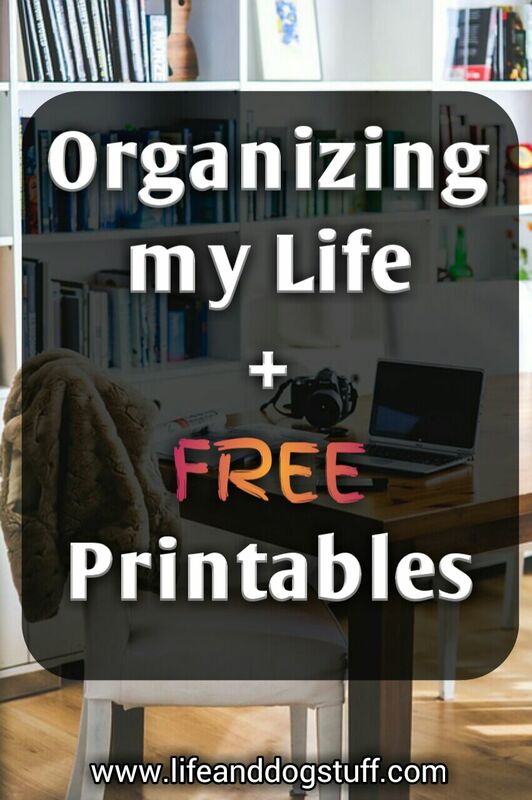 I made some organizing worksheets to help me out and decided to share them with my readers if you're interested. It's easy to get overwhelmed when there are so many things that require your attention. 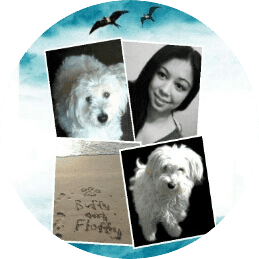 For me, it's not just blog stuff, but chores at home, three dogs and I live with my grandparents. Both in their 90's. Not kidding! 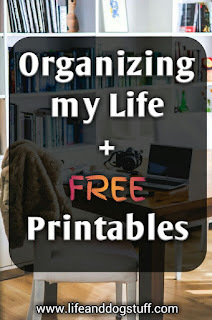 I was forced to become more organized because the blog took away time from everyday life stuff. I'm not a planner but I've started to see the value of planning ahead. My head is filled with to-dos and what to remember. I make notes on my phone but it's all jumbled and I thought I would create some printables. It helps to keep everything in one place. I made a pet information page to keep all my dogs info in one place. It's also helpful so that others who will look after your pets know all about your pet too and how to contact you in case anything happens. Most of the time I'm with my dogs but when I need to go somewhere, those at home will have the info. I was looking temporarily after Snowy and I wanted his info on file too. I'm subscribed to so many websites and I find myself forgetting details because of too much going on and password requests happen a lot. I made myself this password reminder to keep track. My daily to-do list. Not everything can be planned but things that must be done should be noted. I made notes on my phone but here everything is in one place. Here everything is in one place again and not scattered on a calendar app. I've forgotten a few birthdays recently I'll admit. I can just write them all down on here and check it once a month to see who I need to buy a gift for that month in advance. The last one is my social media planner and my favorite printable. I was looking for one that met all my social media needs on the Internet but couldn't find any. I then made one myself with loads of little blocks. Annoying little blocks, but it was exactly what I needed. I'm trying hard to grow the blog's following and there are a few things I need to do daily or else my followers and the social platforms will think I'm ghosting them. It normally involves like, comment, share and follow the maximum amount of people on each social platform a day. I made a little section for that on the planner. I've included a section on Pinterest, Facebook and G+ groups besides the normal social platforms for each. You can decide what you want to share on what days whether it's new or old blog posts or other stuff. If you have a lot of blog posts, updating them and resharing them again is a good way to get more views. If you've not joined blog groups then you need to asap. 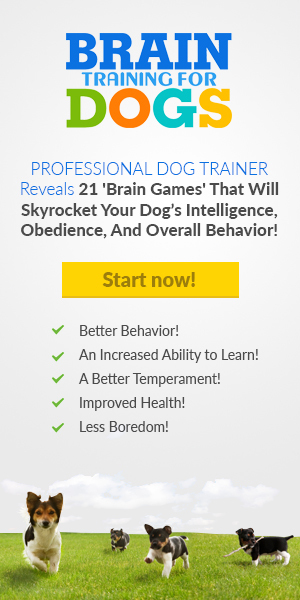 At least in the beginning, while you grow your following or waiting for search engines to rank you. Some days I skip social tasks because it can get overwhelming. It's okay to take a break sometimes. I'm my own boss. If I get tired, I step back. I write and post once a week and use the rest of the week to promote my post. That's all I have time for. I share a lot of other people's content just so that it looks like I'm active. For example, on Twitter, I stopped tweeting and retweeting other people's stuff and I stopped getting followers. I wondered where's everyone? Dur! I was missing, not them. When I started again, it took a week or so of being active and then people started engaging again. They saw my tweets, retweeted them and started following me or followed back. It's alive! I just had to give it some attention. If only I started earlier I would've had a huge social following by now. You have to be consistent on social media for it to work. This applies to all social networks. The social platforms have these weird algorithms and will hide your posts from followers or potential followers if you post once a week. Post every day or you will get nothing out of it. Don't spam either. I try to look alive in the morning and at night. I also schedule posts for when I'm asleep because my followers are not from my country. Keeping track and making sure you're active is important. Pinterest and Instagram are the main social networks that I'm trying to master now but I still check in on the others once a day. I also included a social followers count tracker and it helps me keep track of how many followers I've gained. Just make sure you read up on each social platform's rules and try mastering one at a time but be present on all of them. Good luck if you're like me trying really hard to build a following. With my little planner, I'll be able to keep track and make sure I don't skip days or weeks like I sometimes do. 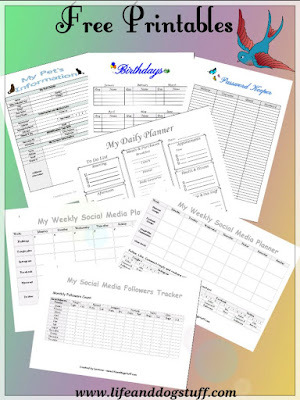 Click here to download your copy of my free printables. Make sure you share this post if you think someone else might need them too. Time to go now. Fluffy the destroyer is busy tearing up something again! Buff is helping. Or being forced to help!